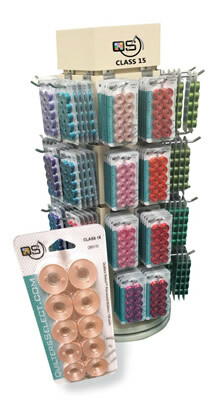 Now quilters can enjoy the use of bobbins just like embroiderers! The 80wt Para-Cotton-Poly makes for the perfect bobbin thread. And with 40 colors available, you no longer have to waste time winding up thread to match your quilting project! Once you have used one of these dazzling color bobbins, you'll want every single color!